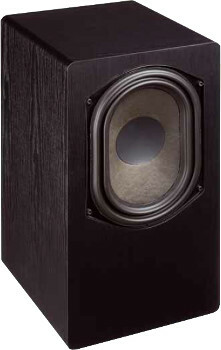 A successor to the GT speaker should be found because the tweeter is no longer available. Then it was decided however to engage a larger woofer; instead of 5 inches a 6-incher. The name was then simply found: GT6. This development by Holger Barske and Thomas Schmidt uses Monacor chassis, namely tweeter DT 350NF with metal diaphragm and a Monacor woofer SPH-6 M with polypropylene cone. They are used in a bass-reflex enclosure with bass reflex tube on the rear panel of the cabinet. A second-order crossover is used (slope 12 dB/octave). In addition there is an impedance correction circuit in parallel to the woofer.